The Valentine is a truly unique museum. This local, state and nationwide, treasure tells the story of Richmond&apos;s 400-year history by letting you peek into the past at some of the city&apos;s most well-curated exhibits. Here&apos;s the really good news though: after a year of renovations, the fences are coming down, the new exhibit space is going up and the Valentine is throwing open its doors to all comers. We&apos;ve got an exclusive chance for you to win a family membership and two tickets to the Grand Re-opening Celebration Oct. 22 at the end of the post! A large chunk of the Valentine fortune came from the development and huge success of this tonic. 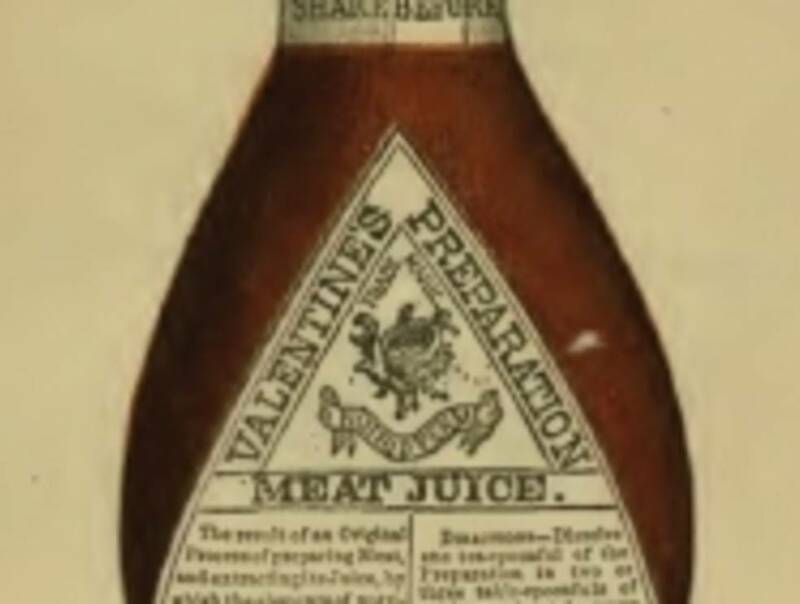 We&apos;ll let you learn all about the story behind Meat Juice at the museum, but if you have any interest in Victorian tonics and snake oil and general weirdness, like we do, the Valentine is the museum for you. It&apos;s almost All Hallow&apos;s Eve, and this is more pure, Victorian weirdness, but you can see the sculptor Valentine&apos;s creepy death masks on display at the museum. Besides being creepy, the studio building is one of only four surviving 19th century sculptors’ studios in the United States that is open to the public. Sally Bell&apos;s Kitchen, another Richmond institution, has an outpost in the Valentine&apos;s garden. Eating a cupcake with icing on three sides (yes, icing on three sides) in the bucolic gardens of the Valentine is pretty much the best way to cap an afternoon of culture. We&apos;re stuck on this Victorian thing, we know. But the Valentine was originally a house that served as a museum (it sort of still is, but it looks way more museum-y now.) The second floor of the museum lets you step back to this simpler time by showing you what a museum back then would have looked like with the Creating History exhibit. ENTER BELOW TO WIN EXCLUSIVE TICKETS TO THE RE-OPENING! You&apos;ll also win a family membership to the museum and one runner-up will also win a family membership. Contest ends 10/17.